This guy is asking a weird question to some random people on the streets that making these people mad like hell. This guy is asking politely ‘Can I Kidnap You?’. Check out how people reacted to his question. A youtube channel called STFU18 made this video. You can watch more videos of STFU18 on their youtube channel, here. 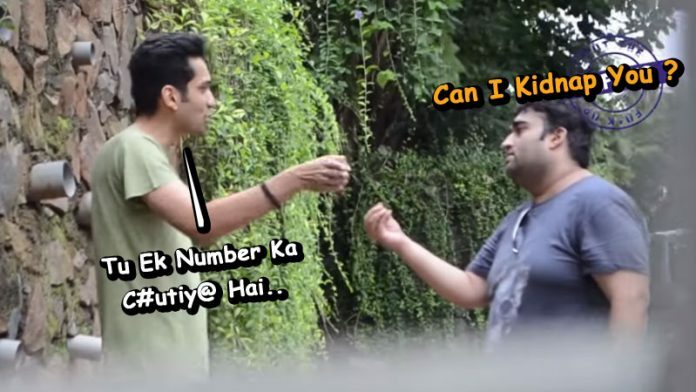 Previous articleHot Girl Tying Rakhi To Strangers Prank, Check Out The Reactions! Next articleFukrey Boys Are Back Again With ‘Fukrey Returns’, Check Out The Trailer!